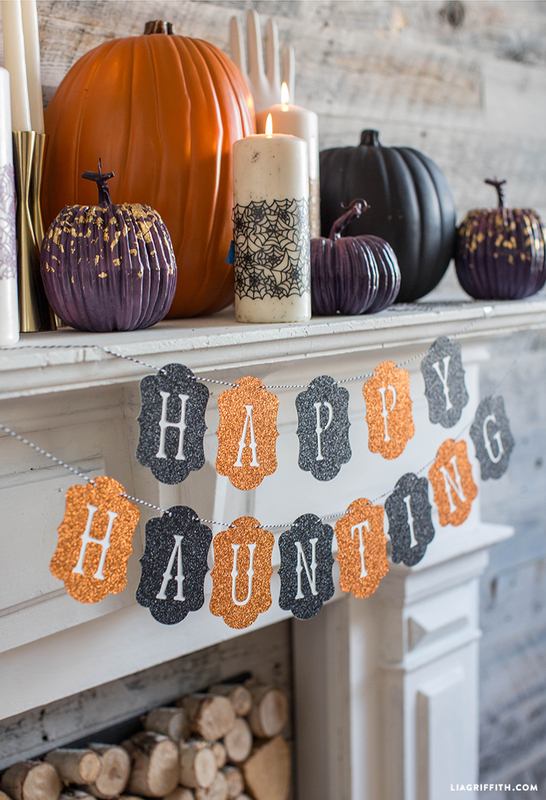 Say hello to haunted with our DIY “happy haunting” Halloween banner. Perfect party decor or a seasonal home accessory! We’ve created SVG cut files and PDFs for you to choose from. If cutting by hand, you may also want to use an X-Acto blade in addition to scissors to cut your letters with finer precision. 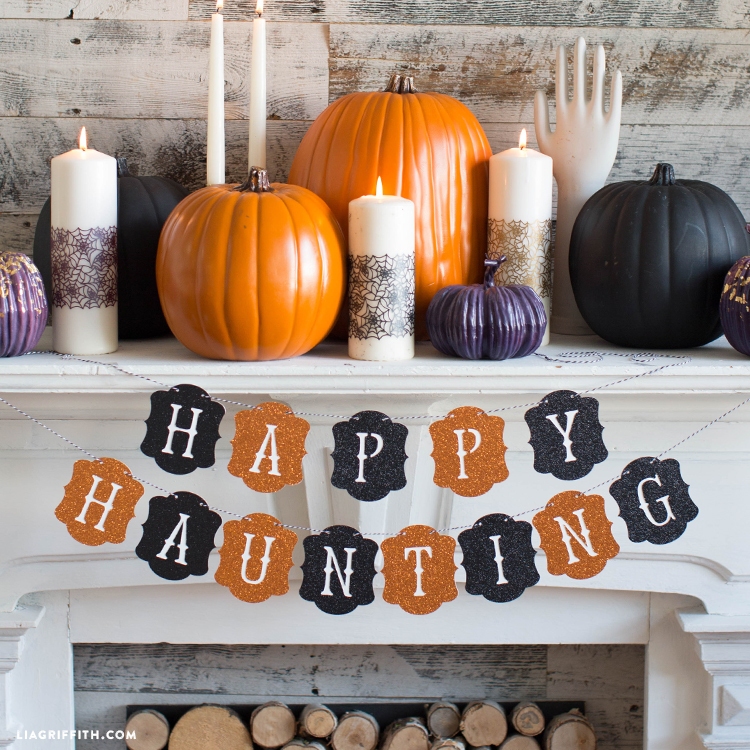 For more DIY Halloween ideas, click here — The haunting is endless! Sign up for your very own Lia Griffith membership to start crafting with us today! For more DIY inspiration, follow us on Instagram, Facebook and Twitter.